GlobeCore Specialists Successfully Commission a Bitumen Emulsion Plant in Thailand - GlobeCore Bitumen Emulsion. 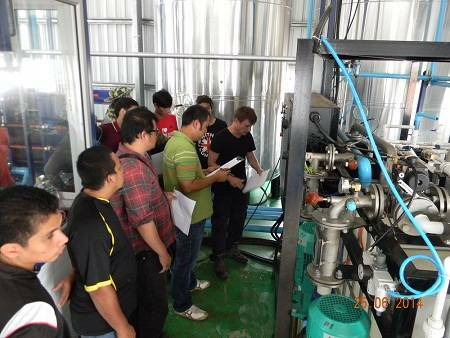 At the end of June 2014, GlobeCore completed all planned commissioning operations and personnel training in Thailand. A 20 cubic meter per hour UVB water phase preparation unit for bitumen emulsions was supplied to this country. Bitumen equipment made by our company is optimized for the required production capacity. The bitumen emulsion can be used for production of emulsion almost all year long, as long as the temperature is above +5ºС/41ºF). This, and the quality of the bitumen emulsions produced makes the UVB type unit highly in demanded the world market.